There is nothing like a cup of hot cocoa to warm us up during these colder months. Our idea for holiday gifts this year was to take our favorite antique soup spoons and coat them with rich dark chocolate and a dusting of spices. Just mix with a cup of hot milk and these are ready to be sipped cozily by the fireplace. On a recent road trip to Maine, we had some of the best lobster rolls we've come across. 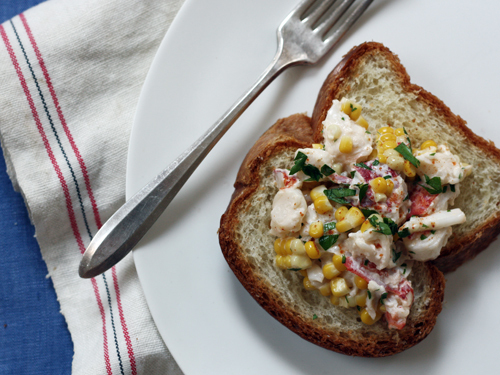 We recreated our own version as a lobster salad tossed with sweet corn to welcome the appearance of a warm New York summer. Lemon granita with a splash of prosecco and dollop of basil cream makes a refreshing dessert that keeps everyone cool.